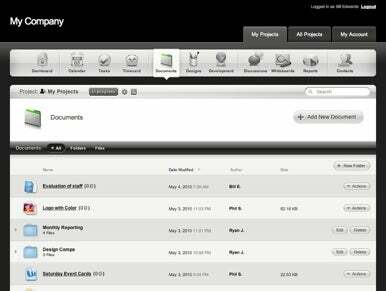 Projecturf is a Web-based project management service aimed at small-to-medium sized businesses. With a major 2.0 upgrade, Projecturf hopes to catch the attention of Mac users with new features as well as a redesign heavily inspired by Mac OS X. New in Projecturf 2.0 is actually the removal of limits—the two business-level plans now get unlimited storage space, users, and project managers. A client sandbox has been added so that Projecturf users can let customers rate, approve, and comment on their work. A bug-tracking system has been added as well, with the ability to organize issues, assign tickets, track status, upload screen shots, comment, and of course close issues. In Projecturf 2.0, all features are now accessible on all plans, and there are plenty of new features to speak of: an event calendar, Google Docs integration, sub-tasks, file versioning, a global dashboard, time tracking, code snippets, Web bookmarks, access permissions, project archiving, and much more. With this major upgrade, Projecturf is also touting the “Mac-friendliness” of its redesign. Of course, it’s a Web-based service so there shouldn’t be any particular OS incompatibility to worry about. But the company claims to have taken a lot of redesign inspiration from Mac OS X, including Dock-like navigation, a Finder-like collapsible project folder and color-coding, and a minimal calendar interface that should make iCal a little jealous. Again, this isn’t a significant Mac-specific functionality improvement or integration. But the redesign could be the right polish that turns the heads of Mac-based freelancers and businesses. All Projecturf plans come with a free 14-day trial; prices start at $10 for the Individual Plan and $35 for the Start-Up Plan.